Over the past 20 years, almost everything we’ve done has been dedicated to living the Good Life. We’ve had a lot of practice. Heck, by now we’re practically experts. But some areas of the Good Life are harder to master than others. Take, for instance, golf. We’ve played a round or two in our day, but we’re far from experts of the sport. 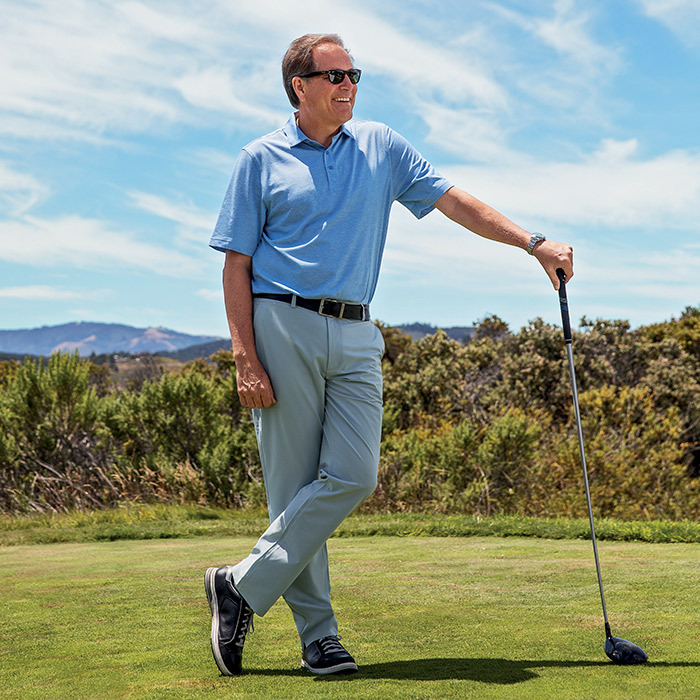 So for our new golf collection, we decided to partner with someone who will forget more about golf than we’ll ever know—Jim Nantz. Nantz anchored his first Masters tournament on TV in 1986 at the age of 26, and he’s been doing it ever since. He has a true love for the game. Whether he’s welcoming fans to the Masters every April, playing a round with his friends, or chuckling as he watches us try to sink putts, Jim is happiest when he’s on the course, living his Good Life. This year, we’re happy to announce our new partnership with Jim to create a one-of-a-kind golf collection, one that is as comfortable and stylish on the course as it is in the clubhouse. So whether you’re playing the 7th hole at Pebble Beach, or you just love the smell of fresh cut grass and morning dew, we’ve got you covered. We’ll see you on the course.